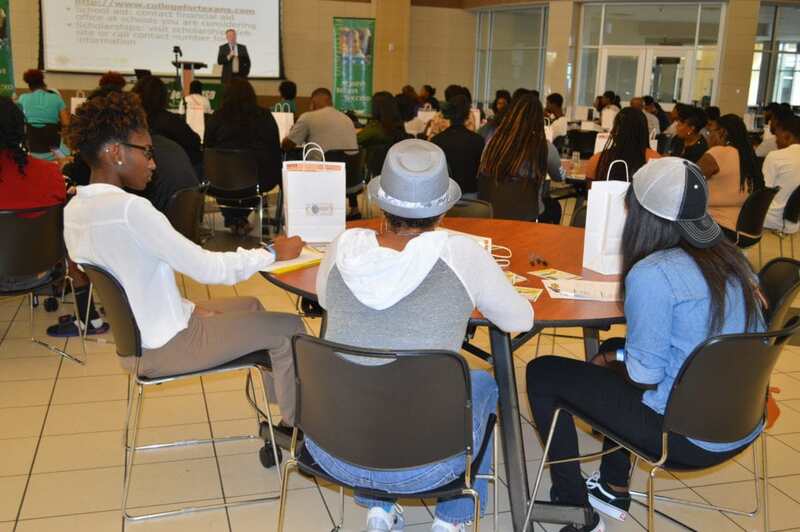 DESOTO—The newly organized Young Women’s Leadership Project (YWLP) completed their first College Boot Camp at DeSoto High School on September 10 with an estimated 150 participants. Spearheaded and officiated by DHS alum and DeSoto Mayor Pro Tem Rachel Proctor, the College Boot Camp launched with greetings from DHS Assistant Principal Eric Barnes, Assistant Superintendent Levatta Levels, Board Trustee Sandre Moncriffe and Mayor Curtistene McCowan. Superintendent David Harris and Board Trustee Aubrey C. Hooper were on hand later in the program to bring remarks. The informative agenda featured a detailed FAFSA presentation from the U.S. Department of Education’s Dallas Training Officer for Federal Student Aid Trevor Summers. Mr. Summers walked students and parents through the major components of the FAFSA applications and outlined considerations and criteria for successful completion on or before the required deadlines. Participants were able to follow along online to see the actual data fields as Mr. Summers presented detailed steps for major sections of the application. Mr. Summers also met with participants individually to discuss specific areas of interest or concern. Additional presentations on financial management, safety and security, and college hints from alumni were provided. Wal-Mart DeSoto Distribution Center HR Manager Michael Tarver and Stone Hill Wealth Management Managing Director Phillip Washington covered basics of budgeting and credit management, including establishing checking accounts while in high school to practice balancing the accounts and avoiding overdrafts. The RISE Alliance CEO Tonya English and DeSoto Police Department Sgt. Melissa Franks covered safety tips to avoid or report dating/domestic violence incidents and information on open carry policies on Texas campuses. DHS alum Courtney Bennett (DHS 07) and Julian Escamilla (DHS 14) provided insights from their experiences transitioning from high school to college. Sponsors from around the region supported the event with various resources. Panera Bread and Chick-Fil-A provided pastries and drinks while Crescent Hospice provided lunch for the participants. My Choice Spa and Church of the Disciple United Methodist Church provided the information packages for each participant. DeSoto Parks and Recreation provided two door prizes – new iPads – to two lucky winners! 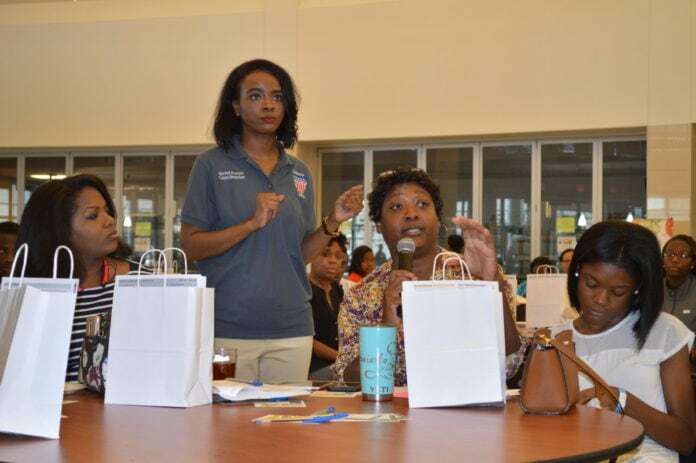 YWLP developed through a collaboration of women business owners and civic leaders interested in working with DeSoto ISD female students to assist them in developing their leadership skills, stressing the virtues of creativity, respect, and strength. Starting this year with 54 female students at DeSoto High School, YWLP coordinates a year-long calendar of events and activities designed to help reach the untapped potential in the students and assist them to grow into positive leaders.